Hmm, what noise comes from a giraffe? 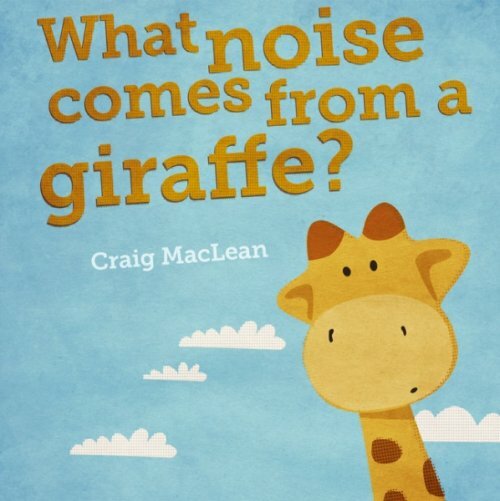 Children will enjoy flipping through this book and listening to all the noises that different animals make until, finally, we get to find out what noise a giraffe makes! The simple rhyming text, as well as the bold and colourful illustrations, will quickly draw children in. After encountering each animal, the question ‘But what noise comes from a giraffe?’ is repeated. This predictability allows children to quickly join in and engage with the story. Although the language in this book is simple, the illustrations will inspire plenty of talking as the cheeky giraffe gets up to all sorts of fun in the background. Prepositions are not explicitly stated in the text, but the giraffe appears in a variety of locations which will prompt discussion on location concepts.